George G. Morgan is president of Aha! Seminars, Inc. He was a key training manager for Sears, Roebuck, Co., in the 1980s. He spearheaded the development of the Electronic Data Interchange (EDI) implementation program for Montgomery Ward & Co. and then for Sears, Roebuck & Co. He also managed the development of an award-winning PC-based EDI software package while with Sears Technology Services, Inc., coordinated the construction of two state-of-the-art training facilities, and developed the training program to support a roll-out of the software to over 600 of Sears' smaller suppliers. George worked for Advantis, a subsidiary of IBM, coordinating development and production of over 60 training sessions for its annual customer conferences, attended by between 1,500 to 2,000 of IBM's and Advantis' largest customers. These sessions spanned a broad spectrum of mainframe, mid-range, and microcomputer applications including the Internet and email, network communication technologies such as dial, leased line, ATM, ISDN, DOV, and LAN gateway, and customers' applications using the IBM network, its products, and services. He was a key member of IBM's Marketing Communications Department in Tampa, Florida, from 1993-1996. He incorporated Aha! Seminars, Inc., in February 1996. In addition to his extensive responsibilities with Aha! Seminars, Inc., George is an avid genealogist. His interest began at age nine when his paternal grandmother and aunt divulged family historical facts extending back before the American Revolution and shared a wealth of original documents. Since that time, George's genealogical research has expanded to include all the branches of his family tree and he has investigated leads in materials in all sorts of places. Libraries, archives, courthouse, and cemeteries are among his favorite haunts, but he will leave no stone unturned, even to the point of tracking down the original 1914 newspapers containing his great-grandparents' obituaries in a records retention facility owned by a county board of education. He is a master in working with and understanding all types of genealogical record types in the U.S., Canada, the United Kingdom, and Australia. With the advent of electronic research materials, he has become a recognized expert in using software programs, databases, Internet resources, online databases, Internet genealogical mailing lists and message boards, search engines, directories, subscription databases, social media, and all the major online genealogical services around the world. He is also an active genetic genealogical researcher. George is a prolific writer in other areas as well. He was an award-winning writer and poet in the late 1960s and 1970s, and editor-in-chief of the Scimitar, the literary magazine for his military school, Staunton Military Academy, and a journalistic columnist and editorial staff member at three newspapars. He began writing genealogical articles in 1996 by writing an award-winning weekly online genealogy column, "Along Those Lines ...", that appeared first in the Genealogy Forum on America Online and then exclusively at the Ancestry.com Web site from January 2000 to March 2006, along with additional columns for Ancestry Daily News. His work has also appeared in the Plus Edition of Eastman's Online Weekly Newsletter, at the bi-monthly electronic genealogy magazine, Digital Genealogist, in the Ancestry Weekly Journal at Ancestry.com, and at other online venues. He has written literally hundreds of articles for genealogy print magazines: Ancestry Magazine, the Association of Genealogists Quarterly, Discovering Family History, Everton's Genealogical Helper, Family Chronicle Magazine, Family Tree Magazine, the Federation of Genealogical Societies FORUM, Genealogical Computing, Heritage Quest Magazine, Internet Genealogy, the NGS News Magazine, Southern Queries Magazine, and Your Genealogy Today. His other online venues over the last decade have included Sony Communications' Emazing.com "Genealogy Tip of the Day" and a stint writing feature online articles for ChineseRoots.com. 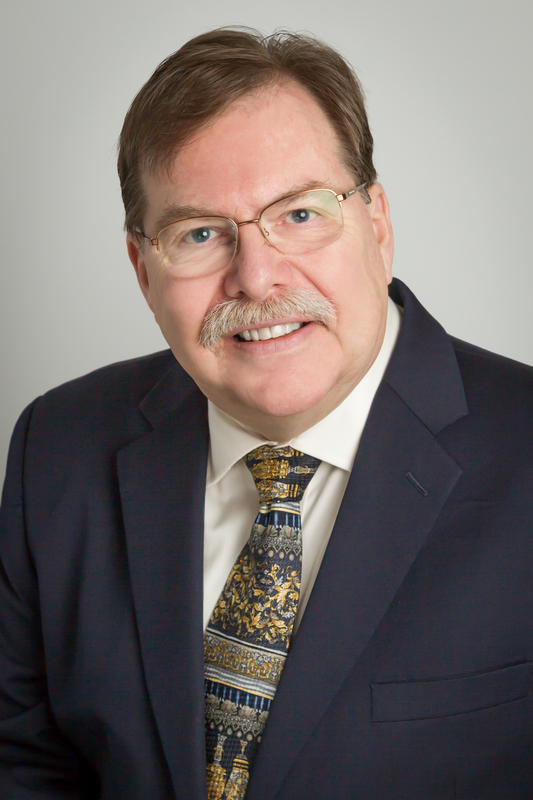 George is a highly popular speaker at national and international genealogical conferences. He has presented all across the United States in national, state, and local conference. He also has presented in Canada, in the U.K., and on several international genealogical cruises. His range of genealogical interests and speaking topics is among the most diverse among the genealogical speaking community. He is available to travel anywhere and will customize presentation topics to the audience. His genealogical presentation topics can be found in the current catalogs of Genealogy Seminars and Library Seminars at this website. He is co-host with partner Drew Smith of The Genealogy GuysSM Podcast at http://genealogyguys.com, the longest running genealogy podcast on the Internet, enjoyed by thousands of listeners around the world. His company also produces the Genealogy Connection podcast, hosted by Drew Smith, which presents interviews with genealogiy speakers, authors, and other genealogy professionals. Its episode alternate weeks with The Genealogy GuysSM Podcast. George is the primary author of The Genealogy Guys Blog. George is a past president of the International Society of Family History Writers and Editors, a former director of the Florida State Genealogical Society, a former director of the Genealogical Speakers Guild, and a former director of the Florida Genealogical Society of Tampa and is the past Public Relations Chair and Publicity Director of the Florida State Genealogical Society. He was appointed to the position of Vice President of Membership Services for the Federation of Genealogical Societies in 2008, was elected to fill a two-year term in from January 2009-December 2011, and was reelected to serve another term from January 2012-December 2013. He was program chair for the highly successful Federation of Genealogical Societies 2003 Conference held in Orlando, Florida, and was a member of the Conference Committee for the Federation of Genealogical Societies 2010 Conference held in Knoxville, Tennessee, on 18-21 August 2010. He is a long-time member of the Association of Professional Genealogists, and belongs to a number of genealogical societies in the U.S. and the U.K. Please contact George for more information about Aha! Seminars, Inc., presentation topics, consulting services, and about presenting for your genealogical society. He can present in person or via virtual seminars. He can be reached at aha@ahaseminars.com, at (813) 220-6274, and through the Web Contact Form on the Contact Us page.